"Welcome to the Xander Zone!" If You Enjoy the Show/Site Please DIGG Us!!! Has The WWE Found its Way onto American Idol? XanderHarris.viviti.com does not host, store, or distribute any of the videos listed on the site and only links to content that is freely available on the Internet. 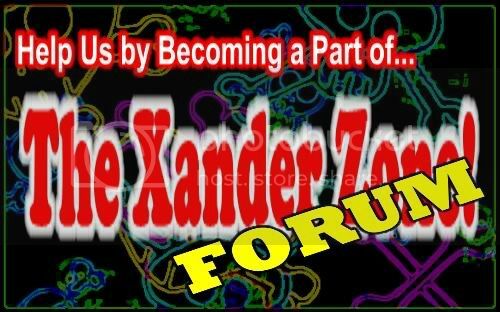 The Xander Harris Zone is not responsible for any of the content that is linked to from the website. If you find fault with any of the content located on third party servers/sites, please contact them for resolution. That said understand that this site is updated by my mom and she goes at her own pace. She does not watch all the shows so the only way she knows if an episode has a bad link or is the wrong episode for the link listed is if you leave a comment. She will correct any oversights brought to her attention as soon as she can. For a more immediate response you may want to try the Forum. This is a place set up for members to share and exchange information, ask questions, and further enjoy all the benefits of the site. Thanks for visiting and enjoy the site! Includes the first 8 books, plus the 9th book which is due to be released in April 2010!